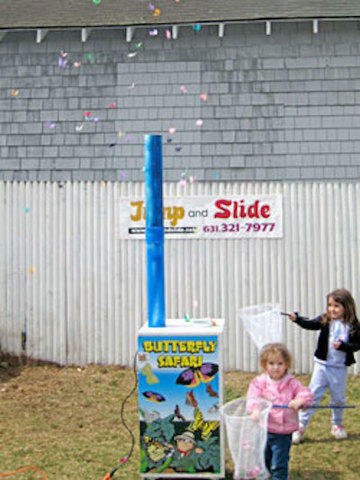 Send the little ones out on an adventure with this Butterfly Safari carnival game! Kids and adults alike will love the fluttering wings in the sky as our high-output blower propels these colorful butterflies into the air. Our Butterfly Safari carnival game comes with twenty (20) nets and thirty-six (36) colorful butterflies. The best part – kids can keep their catch at the end of the party! *Additional nets and butterflies can be purchased at booking.